Do you need just a little bit of extra, practical space and you think dormer or mansard loft conversion may be a little too big, complicated or pricey for what you have in mind? Rather than go overboard with other styles of loft conversions, consider eaves conversions. It is one of the simplest and least expensive loft conversions and is widely preferred by Brighton homeowners who are only after a little extra room. 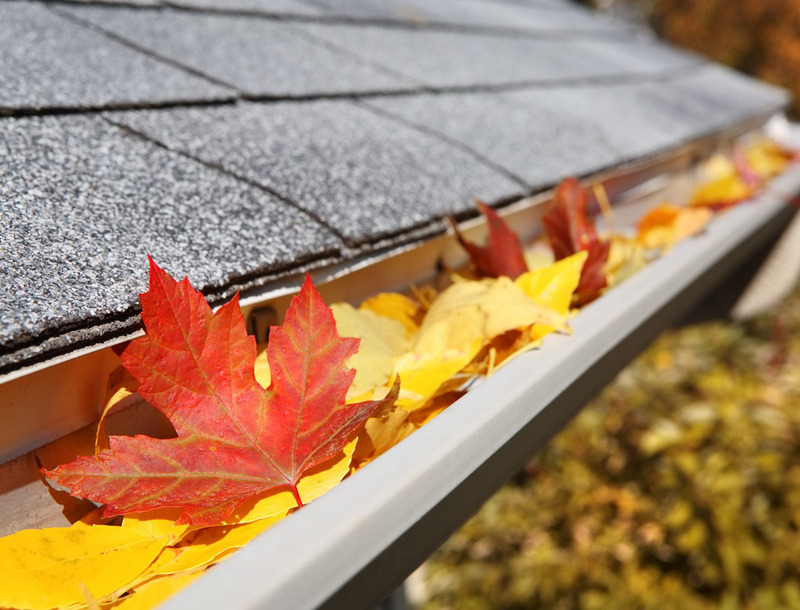 Eaves conversion is quite popular for its multiple uses and its ability to give homeowners a little bit of extra space. As the leading loft conversion and extension specialist for homeowners in Brighton and its surrounding areas, Milosh Loft Conversions offer customised eaves conversion services which are fully customised to your specific needs. We will work with you through every step from planning, design and build, whilst accommodating your budget and schedule. We are happy to cater to your needs even if you have your own structural engineer or architect that you would rather work with. When you choose Milosh Loft Conversions, you have direct contact with our staff and our approved contractors together with a guarantee that you are getting an excellent service that is worth every penny. The area under the eaves is rather difficult to use and often ends up as dead space. However, with a little help from us, they can be one of the most exciting areas of the house. Why let the space in your eaves end up unused and accumulating dust and debris when, with a little creativity and resourcefulness from our world-class team of designers and craftsman, it can be transformed into a functional and aesthetically pleasing space? In case you are wondering what you would use your eaves loft conversion for, let your imagination run wild. Anything you can conceive of is absolutely feasible. Home office: If you can’t get work done from home, it is probably because you do not have a more dedicated space. Eaves loft conversion can take care of that by turning that space into a productive space for your work providing you with a creative space or study for you to get work done without distractions. Alternatively, you could use it as a library or a private study. Extra bedroom: You may be thinking your eaves conversion has limited space and may not be spacious enough for an extra bedroom but it is totally doable. The key is to keep the bedroom clutter-free so as not to overwhelm the space and also to use cool and neutral colours to help make the room look bigger. Instead of installing a king-sized bed, you could choose a daybed, rollaway or foldable bed to create more space. If done properly, it could be the extra bedroom or guest room you have been dreaming of and your visitors will thank you for. Dressing room: This is particularly ideal if the amount of space is not big enough for a guest room or home office. Imagine a floor to ceiling shoe storage, a fancy walk-in wardrobe, hanging rails on the sloping ceiling, a dressing table or bench and a space for storing beddings and jumpers instead of the dusty eaves space you have currently. Dressing rooms work perfectly well in eaves conversions because in this case, the storage that comes with it is specifically designed to suit your needs. When you ask us to turn your eaves conversion into a dressing room or a storage facility, you are getting a personalised design and custom-built dressing room with all the bells and whistles. Hobby space: You could use your eaves conversion as a space to enjoy your hobbies. Looking for a space for your home gym, playroom, a personal yoga studio, a painting or sewing room? If so, an eaves conversion is just right. When planning your eaves conversion for a space to be used be for hobbies, we include plenty of light and ventilation and if possible, include an en-suite bathroom so you don’t have to interrupt your flow to go downstairs to use the convenience. Extra bathroom: You can include an extra bathroom at the end or the middle of the room. In order to save space, you can incorporate a freestanding tub into the main room and section off a private space for a toilet. A bath is usually ideal because most loft or eaves spaces rarely have walls that are full height for a shower. If there is enough room though, you can fit a slimline walk-in shower or a wet room with a partition wall in front of it. Lighting: Different light sources should be combined for optimum efficiency. There should be an ambient light source which can substitute for daylight and another which could be used while performing tasks such as reading and working. These could be in the form of dormer windows or Velux roof lights or in the form of floor and table lamps that can be controlled and even dimmed from the wall switches. Ventilation: To prevent the risk of condensation and maintain good air quality, it is very important to introduce controlled ventilation. This can be done by including background ventilation such as airbricks and trickle vents, rapid ventilation in form of windows, and extract ventilation in areas prone to wetness, such as bathrooms. Insulation: Your eaves loft conversion requires insulation in order to improve the energy efficiency of the house. The heat emitters to be considered in your eaves conversion include radiators, underfloor heating or a combination of both. If a bathroom is added, we recommend a boiler upgrade. Which Loft Conversion specialist should I choose for my eaves loft conversion? In actual fact, choosing a Brighton-based loft conversion specialist for your eaves conversion is a tough job. You have to sift through a myriad of subpar to mediocre firms before you can get to the good stuff. What if we told you we can save the trouble of looking and give you the best solution to your eaves conversion needs? No matter what you intend on using your eaves conversion for, contact Milosh Loft Conversions. We can maximise every inch of the space you already have and transform it into a magnificent, additional living space for you and your family, guaranteed to take your breath away. With us, your eaves loft can be efficiently converted to a stylish and usable space for your needs in no time. We make sure you are a part of the project from start to finish, following your design input to the letter. We also support you throughout the project by helping you with the planning application and building regulation process. 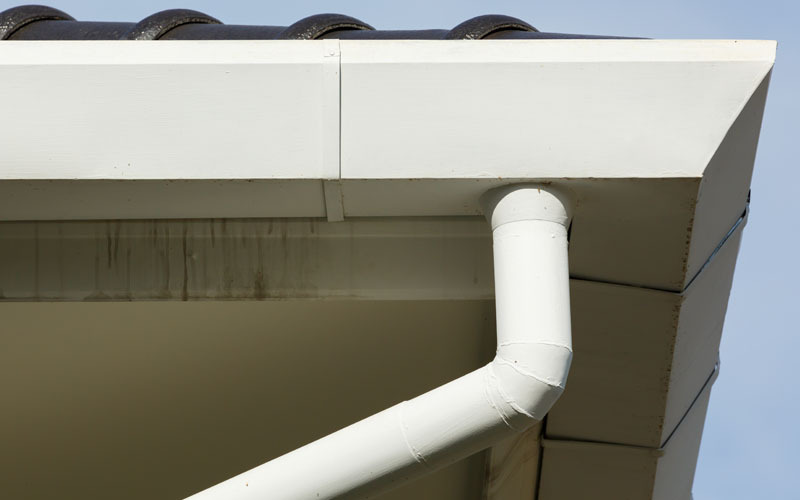 If you think our services expire after the eaves conversion is over, think again. Our first-rate services continue even after the completion of the project. We have over 20 years’ experience catering to the loft conversion needs of Brighton homeowners and one of the reasons we have stayed on top is because full customer orientated service. It is very rare that customers have issues with their loft conversion but in the rare case that you do, our team of friendly contractors will come over and fix the problem. 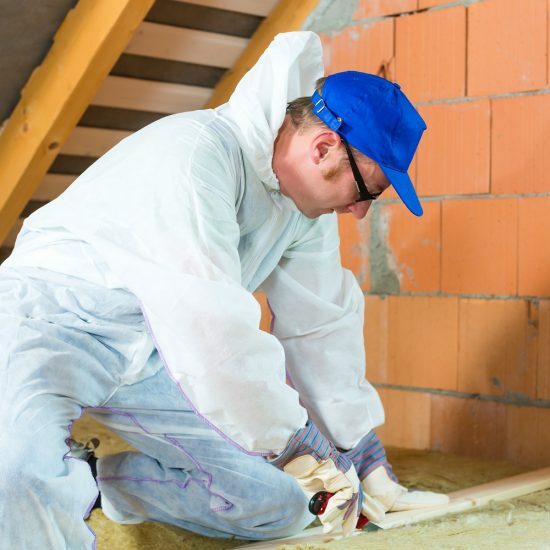 We equally provide integrated services which arrange for everything you need for your loft conversion project including making sure our eaves conversion are optimised for high insulation capacity with the highest quality of thermal insulation. We also provide you with an expert team of architects, plumbers, engineers, electricians and experienced loft conversion contractors. We offer the highest quality workmanship at a competitive price you won’t find anywhere else in Brighton. We also provide a free quote without any hidden costs whatsoever. To get a quote, call our phone number or complete the enquiry form on our website and we’ll arrange for a surveyor to visit your property. It is absolutely free of charge. Yes, we do. We have employer’s liability insurance and public liability insurance of £10,000,000 and £1,000,000 respectively. We also offer a free one-year maintenance guarantee apart from our 10-year structural guarantee. Do you provide support after the eaves loft conversion is complete? At Milosh Loft Conversions, we pride ourselves on being a full customer orientated service. It is very rare that customers have issues with their loft conversion but in the rare case that you do, our team of friendly contractors will come over and fix the problem. Are there any troubles I will encounter during the eaves loft conversion? Even though with the right loft conversion specialist the process is seamless, there are a few issues which may arise along the way. The first problem is the inconvenience caused during construction such as noise, discomfort and other inconveniences which will last until the completion of the project. Also, there is the time and money spent on building regulations, planning permissions and potential surveys required for your loft conversion. Another issue is the lack of headspace and the landing below the loft. Most Brighton homes don’t have enough space for a staircase. You have to think of where the entrance will be depending on the layout of your home. Can you explain your building process? When you book an appointment for a free site survey to determine the suitability of your loft for a conversion, we come over and assess your home. Working with the details you have given us and in line with your loft conversion needs, we send you a quote and if you’re happy with it, we draw up a contract with a fixed price and timeline for the loft conversion. The next stage is the design process where our RIBA certified architect creates a customised design drawing for your new loft conversion. We advise you on how to get the building regulation, planning permits and party wall agreements. Once all of that is settled, we begin construction. It takes about 2 to 3 months during which our contractors will be on site 5 to 6 days a week. We assign a dedicated project manager who keeps you in the loop and makes regular visits to inspect the work and ensure it is going as planned. A building control officer will also make regular visits to your property and upon the final visit, you will be awarded a certificate. Do you have a portfolio of work I can see? As a leading loft conversion company in Brighton, we have diverse collections of eaves loft conversions that we have done for different homes and we are more than happy to show you our portfolio of completed work in any style of loft conversion you are interested in. 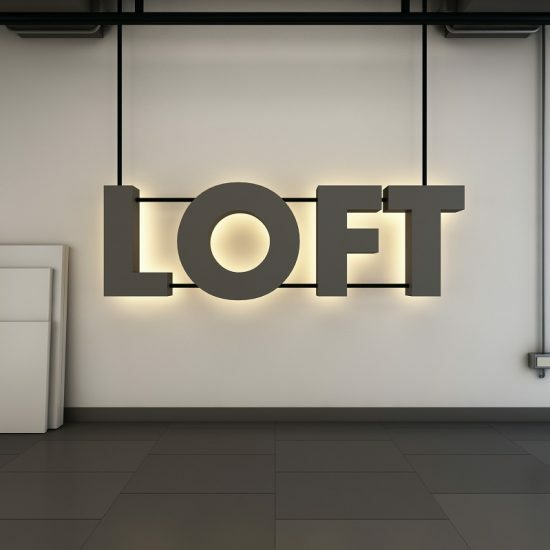 There is a good possibility that we have designed and built some of the lofts you have seen around Brighton. Contact us and we will give you our case studies containing descriptions and images of our previous work in order to understand what your completed work will look like. How do I select the right firm for my eaves loft conversion project? First of all, ask your neighbours, friends or colleagues for recommendations. Ensure that the loft conversion firms they listed have the right credentials and certifications. Also, be sure they meet industry specifications for loft conversion companies. Once that is done, check out the company online and read their reviews and testimonials. Do they have a website that inspires trust? Where is their office located? Who answers the phone when you call their contact number? Who have they worked for in the past? These are ways to verify that the company is legitimate. Finally, before you commit to them, ask to see other loft conversions they have done. A good conversion specialist will be happy to put you in touch with a client they’ve worked with in the past. Milosh Loft Conversions is an NIC EIC approved contractor. 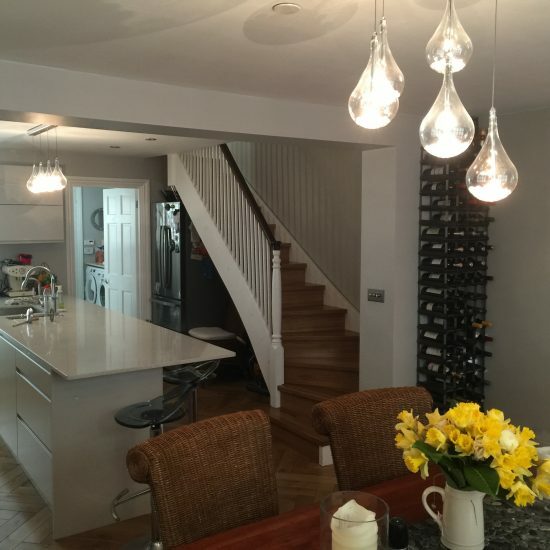 We are also members of the Federation of Master Builders and we have worked with a number of homes in Brighton and nearby cities with more than satisfactory results. Is it possible to do eaves loft conversion if my home is in a conservation area? Yes, it is. Localities and properties of conservation areas have special character histories and features. It adds to the charm of the area but makes it difficult to do things like a loft conversion. You have to get planning permission from the Brighton planning authority, which could be subject to specific planning conditions. Once approval is granted, the conversion can then start. How do I know if I can carry out eaves loft conversion on my property? You can easily find out if your eaves loft is convertible. To do this, get a tape measure and open your latch hat if you can. Then measure the total height from the top of your existing ceiling joist, (which are the timbers you are standing on), to the underside of the right beam (which is the highest piece of timber at the top of your roof apex). If this measurement is 2.2 metres or more there is a good chance that your eaves can be converted. Alternatively, you can also test if you can convert your eaves by standing upright in your loft at the highest point. If you can lift your arm straight up in the air without touching the ridge beams at the top of your roof, there is a good chance your eaves loft can be converted. The best method to eliminate doubt is to call one of our expert supervisors to come by and give you an unequivocal verdict on whether your eaves loft can be converted or not. Using a loft conversion specialist is better than working with a general builder or worse still, doing it yourself. Working with a professional loft conversion firm like Milosh Loft Conversions Brighton eliminates the risks and mistakes associated with conversions and installations ensuring you get your money’s worth. This is because we have over 20 years of experience in eaves loft and other forms of loft conversions. The in-depth knowledge, planning and design you will enjoy with us cannot be compared to what is obtainable with a general builder. Should I consider building regulations during my eaves loft conversion? Yes, you should. If you are going to sell your house in the future, the vendor’s solicitor will require a building completion certificate. The certificate ensures that the loft is built to building regulation standards and without it, the value of your property will depreciate. To get this certificate in Brighton, your local authority or a national improved building inspection company can supply one. At Milosh Loft Conversions, we will help guide you through this process and help expedite it. Is planning permission required for eaves loft permission? No. as long as you conform to the regulations set out, you will not need loft conversion planning permission. Your loft renovation will be considered a permitted development. If you are not sure as to whether you need planning permission or not, we will help you confirm if your project does need it. How much will eaves loft conversion cost? The price of eaves loft conversion is determined by several factors such as the installation of a new staircase, inclusion of framing carpentry, the existing quality of your loft and the level of finish you will require. The average cost of loft conversion varies from £9,000 to £15,000 depending on your conversion needs. 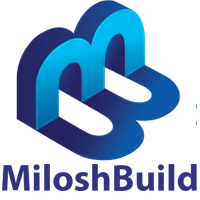 To be certain of how much exactly it will cost, request a quotation from us at Milosh Loft Conversions. We will provide you with a quote completely free of charge. Do I need to consider fire doors when during my eaves loft conversion? Yes. Your home has to comply with the latest building regulations as it pertains to fire safety. All the doors around the staircase will require an upgrade to FD30 doors. This ensures that should a fire break out in your eaves conversion or any other room, your hallway, stairs and landing will withstand 30 minutes worth of heat and fire as a protected corridor, enabling you to evacuate from any of the rooms within the property. If there are no gaps, cracks or the doors are over 37mm thick, some building control inspectors may consider your existing doors to be adequate. Also, if your doors can withstand 20 minutes worth of fire then installing additional smoke detectors in every habitable room and a heat detector in the kitchen will comply with building regulations. These detectors have to be wired to the mains, battery backup and interlinked so that if one is triggered, they will alert you on all floors. Will eaves loft conversion add value? Yes, it can. When properly converted, it is very much likely that eaves loft conversions could increase the property value by 10 to 15%. You will not only gain some funds in equity but will get your additional outlay back when you do decide to sell your property. 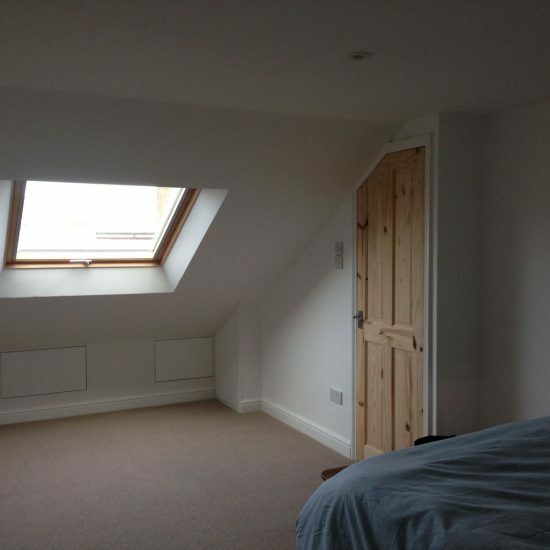 Do I need to hire an architect to help design my loft conversion and create my plans? With Milosh Loft Conversions, you do not need to hire external architects and professionals to execute your eaves loft conversion for your Brighton home. We offer a “design and build” service so as to avoid the risks and hassles of you going out of your way to find architects who may even be subpar. Our professional architects are at your disposal and they will help design and bring to life whatever plans you may have. Our architects only specialise in loft conversions. This eliminates errors and structural issues that may only become apparent once the work has started. How much mess and disruption would I have to put up with during the eaves loft conversion? Access to the loft where the work is done happens via scaffolding that is erected outside the property and this limits the number of times builders have to come inside your home while the project is underway. Alternatively, access can be gained through a small hole at the front door slope. This acts as the main route until the installation of the staircase is complete after which the staircase becomes the major route. Can I carry out my eaves loft conversion myself? Even though eaves loft conversion is less complicated and expensive than other forms of loft conversion, it is not advisable nor safe to carry out the project by yourself. It is still a delicate process that sometimes involves building regulation sign-off and the local planning department. Apart from the amount of work, there is the inherent danger of injuring yourself or even extensively damaging your home. This is the reason why most Brighton residents contract their loft conversion to a specialist company like Milosh Loft Conversions. During my eaves loft conversion can I still live in my house? Yes. You do not have to move out of your property when converting your loft. How long will my eaves loft conversion take? Eaves conversion is the simplest form of loft conversion and requires less construction work and time than Dormer or Mansard. It will take approximately 4 to 6 weeks from start to completion. Why should I consider an eaves loft conversion? Even though the space you may gain from eaves loft conversion is limited when compared to other types of loft conversions, it is still a great way to gain some extra space which can be used as a bedroom or bathroom, home office, hobby space, dressing room or for storage. Also, if you are working on a tight budget and cannot afford the cost of other forms of loft conversions like Dormer or Hip to Gable, eaves loft conversions can provide you with a functional space without you having to spend as much money, time or resources as you would have on other forms of loft conversions. It is also a lot less expensive and disruptive compared to other forms of loft conversions. 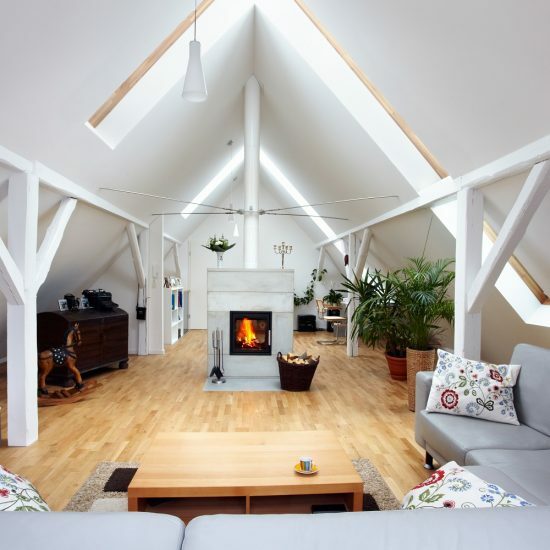 Milosh Build is proud to offer Eaves Loft Conversion for Loft Conversions in the town of Brighton, which lies within South East England in the county of East Sussex. A range of East Sussex businesses including Milosh Build make their home in Brighton. Hove, Mile Oak, Moulsecoomb, Hollingbury and Hollingdean are included withinin Milosh Build’s Eaves Loft Conversion for Loft Conversions area in the City of Brighton and Hove. Last in order of mention, Milosh Build’s Eaves Loft Conversion for Loft Conversions cover the Brighton Municipality along with Stanmer, Bear Road area and Brighton Marina.